Windows Bitmap (BMP): the ASCII characters ‘BM’. GIF: the three ASCII characters ‘GIF’. JPEG: a ‘new marker’ indicator ($FF) followed by a ‘start of image’ marker ($D8). PNG: in order, the following eight ASCII characters – #137, ‘P’, ‘N’, ‘G’, #13, #10, #26 and #10. TIFF: ‘II’ or ‘MM’ followed by $002A or $2A00 respectively. Windows icon (ICO): the second word has the value $0001. Windows Metafile (WMF): the first DWORD has the value $9AC6CDD7. Windows Enhanced Metafile (EMF): the first DWORD must equal $00000001, followed by $464D4520 (i.e., ‘EMF’ when read back to front) in the eleventh. Of this ‘standard’ set, the ICO format is obviously a bit indeterminate when it comes to making a quick check, but the rest are unique enough. In practice, the lack of a proper signature for ICO just means you should test for it last. 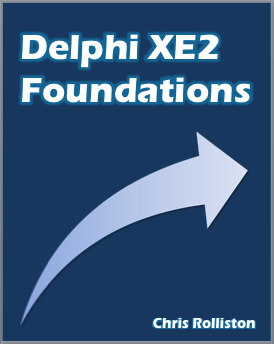 The graphic classes returned here are the ‘in the box’ set for recent Delphi versions; depending on which particular Delphi version and third party libraries you use, the ones that are most appropriate to yourself may differ of course. I needed this last week! OK, I STILL need it. Thanks. I’m writing a “merge” program that gives the ability to drop images into an ODT at the point of a placeholder. I got it working with JPEGs…now this will give me the rest. Hey, quick commenting! Just to say, between the time I saw my post up on DelphiFeeds.com and then noticing your comment, I fixed a silly typo (the MinGraphicSize constant should be 44 to cover the EMF check, not 8).